Mission Valley Spas is a Premium BullFrog Hot Tub Dealer in Orange County! 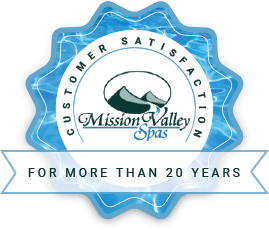 Mission Valley Spas began in the Saddleback Valley in 1994. 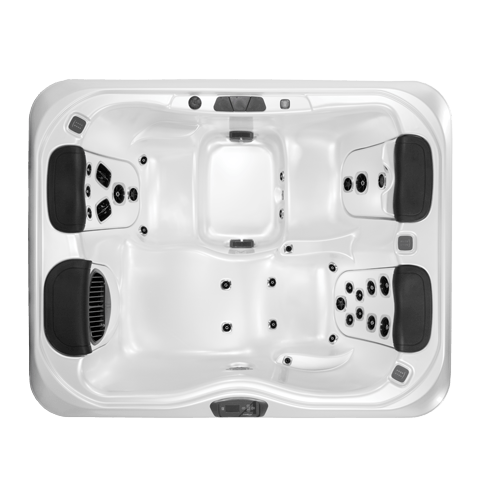 Our company offers a complete selection of premium BullFrog portable spas and hot tubs in sizes, layouts, color combinations and styles to satisfy even the most fastidious client! Whether it’s our premium A Series luxury hot tubs with distinguished options and features, the Award Winning and modern STIL series, the quality R SERIES or our comfort focused X SERIES, you’ll find hot tubs and spas for every lifestyle and budget at our company. 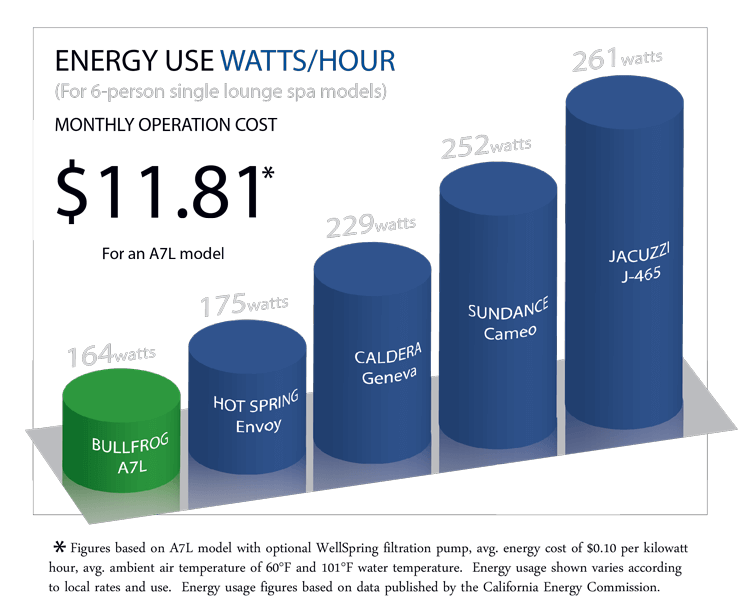 Bullfrog Spas represents a new concept in complete wellness and modern hot tub design. Each customizable massage JetPak is bio-engineered to specifically address your personal therapy while every detail appeals to your refined sensibilities. You’ll also appreciate the Lifetime Warranty on the composite frame and its interconnected Duralast solid foundation pan. Elegantly modern, the Stil has been honored by winning both the Red Dot and the IF Design Awards. No other spas on the market can compare to STIL models. 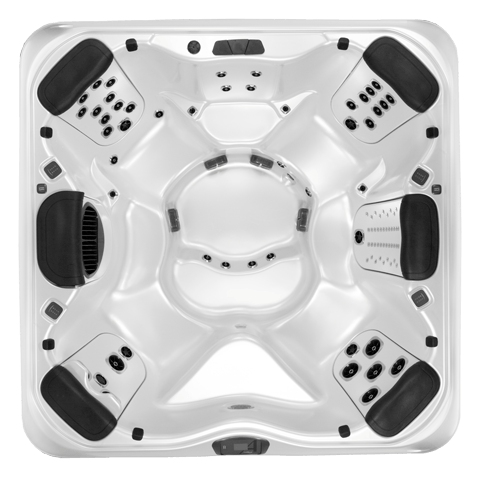 The A Series is a collection of our Bullfrog Premium Spas. Elegantly styled and fully featured, A Series models allow you the best selection of customizable features. Standard features include the highest number of JetPak Seats, extensive external and internal lighting, Duralast safety canvas covers and much more. The R Series collection offers the same top quality as the A Series with a few less features. 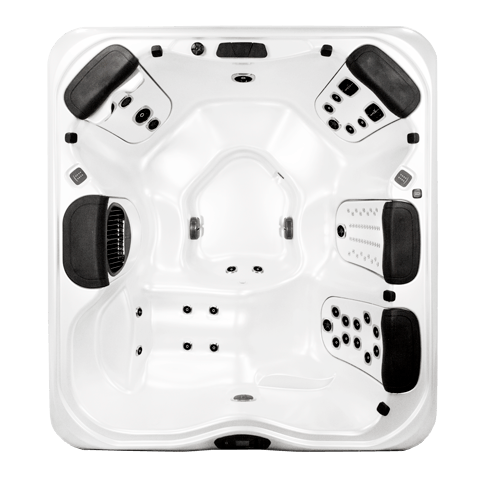 Built to the exacting standards of our premium spas, the R Series allows you to create a customized spa experience packed with value. 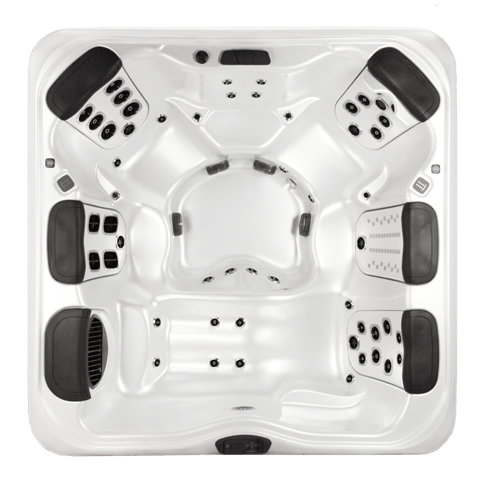 Each R Series spa model features the JetPak Therapy System with JetPaks in several seat locations for a top quality hot tub experience. The JetPak Therapy System is a revolutionary way to ensure that your spa experience is personalized just for you. Each JetPak is designed to provide a unique massage with unique wellness benefits. You can design your spa specifically for your personal needs and preferences, and because JetPaks are interchangeable, you can upgrade JetPaks or move them to different locations within the spa at any time. 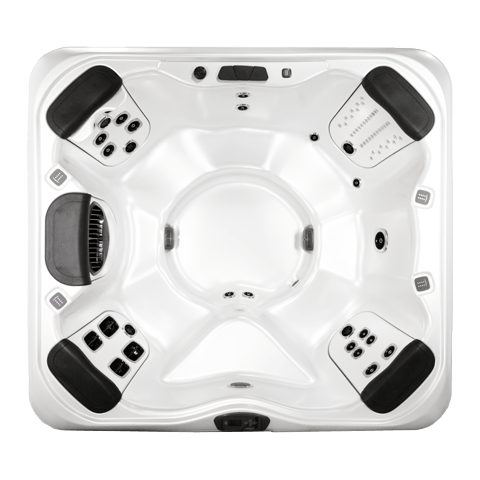 So enjoy an excellent variety of BullFrog hot tubs and inground spas to fit your space and budget, enrich the style and maximize pleasure at your own home! Choose the right factory trained specialists for your hot tub installation. Since buying a hot tub is a big decision, choose your hot tub retailer and installer wisely. We can provide all the information you need on electrical requirements, spa locations, installation and more. This service is completely free of charge and without obligation. Our goal is to give you the information that you need to make an educated decision on which hot tub is right for your lifestyle and budget. We also carry Dream Maker Spas, and the world’s only Outdoor Waterproof Television by SunBrite. We also specialize in landscape and project design. MV Spas has won numerous awards for design, service and customer satisfaction. Chosen by The Orange County Register readers as ‘Best Of’ in their Hot Tub Retailer category and winner of the prestigious OC Hotlist Award for excellence in home goods retailing. Mission Valley Spas is a full service spa and Hot Tub company. We can fulfill all of your needs – from installation to service to maintenance of your Hot Tub. Our supply department can perform water quality testing, as well as, work with you to develop the easiest DIY maintenance ever. We continue to develop long-lasting relationships with our clients due to our 20 years of experience in delivering the top quality products. We are well-informed in our field and care about each one of our customers. Our goal is your great enjoyment from water while we provide unique quality and service of outdoor BullFrog Hot Tubs and our Inground Spas. Extended hours are available, just call for an appointment! At Mission Valley Spas we do not only install the best-quality Hot Tubs, and spas, but we also repair and maintain them. Our installations are affordable and the end result is an elegant and luxurious hot tub or Spas. There are many reasons people buy a hot tub – massage, pain relief, entertainment – but often times, our customers’ experiences are even better than they had imagined. The real benefits of taking a daily dip in your Bullfrog spa might surprise you too.